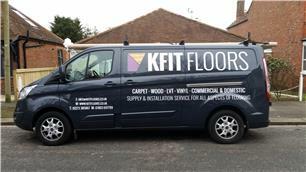 KFit Floors - Carpets/Flooring based in Brighton, East Sussex. At KFit Floors we take great pride to provide over 10 years of experience within our company in the profession of floor laying. We offer a high quality SUPPLY & FITTING service with very COMPETITIVE PRICES covering a wide variety of floors types from carpets to woods and vinyl's. We promise to provide professional labour along with our vast experience of all the materials above. KFit Floors' makes sure first and foremost that our work fulfils our customers' requirements and always deliver to make our customers happy. Not only are our experience and quality of work our stand out points, we are proud and confident that we can compete favourably to any other price. Whilst firstly focusing on making our customers happy and providing a service to be recommended, we are always looking to make our services bigger and better and look to collaborate our old school morals along with our quality over quantity new school services.